Think out of the box with Android TV 6.0 Connect to a world of content and entertainment at home with Mi Box. 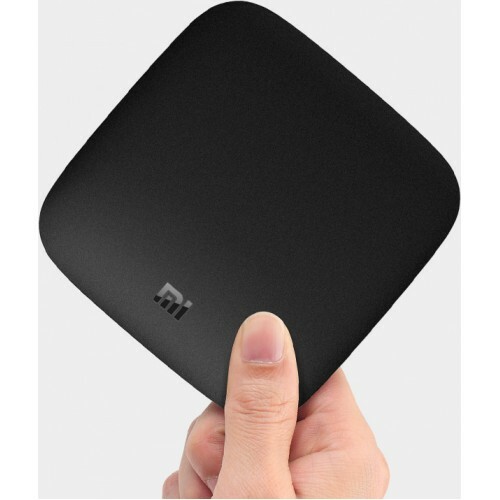 It runs on the latest Android TV 6.0 which is easy to use, supports voice controls and Google CastTM. Catch your favorite TV shows, play games,watch the news or switch to radio. Mi Box also recommends videos based on your personal YouTube and Google Play preferences! Say it to search itFinally, a TV that listens. All you have to do is ask.Speak into the voice remote control and Mi Box searches for what you want. Ask for the best in action movies, today's weather, or the latest celebrity news! Everything pops with HDR HDR is quickly making its way to TV, first to set-top boxes with Mi Box. Watch videos in detail like never before with select HDR content. Witness scenes and characters come to life in vivid contrast, color, and clarity.